Courtship, now known as dating, has been happening since the beginning of time and has drastically changed over the last few decades. Long gone are the days of parents arranging meeting between family friends since technology has now enabled everyone to become a serial dater. 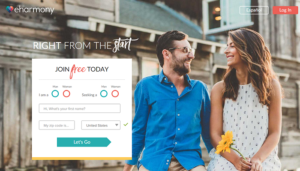 Move over Match, OKCupid and eHarmony, dating apps have arrived and are here to stay! Let’s take a look at how they’ve transformed modern dating. Before the internet meeting a romantic interest was very different, with fathers often playing a vital role. Deals would be made between family friends and couples would end up together through word-of-mouth. This was called courtship and was very different to modern dating. In 1900, dating started to take off and men and women were able to meet more naturally. Before dating, courtship involved suitors calling on prospective partners in the family home, so there wasn’t a great deal privacy. However, dating enabled couples to go wherever they wanted. For the first time in history couples met for food, enjoyed entertainment together and it was not all pre-determined by status. Romantic interactions became less rigid and during the 20th century dating was the new focus for falling in love. Previously, love wasn’t the central part of marriage, but as dating developed it became a critical element. By 1950, dating had become the norm and ‘going steady’ was the term used for an exclusive relationship. Couples became more open about their relationships and publicly showed signs of affection. All the rules from the past were gone and, with young adults being able to do whatever they wanted, it cleared the way for modern dating. The internet completely changed the way people met and in 1995, the first online dating service (Match) was created. As of 2002, they had 26.6 million people registered and gave singletons hundreds of options every day. This was the beginning of online dating and more sites, such as OKCupid and eHarmony, quickly followed. Online dating became the new norm and offered daters of all ages a global service, which could provide them with more potential partners than ever before. The services were initially very simple and only matched people based on similarities, but as technology evolved so did the variety. From having specific requirements for memberships, to offering people a certain niche, such as Bristlr, which was created for those with beards and those who want to stroke beards, online dating services provided a handpicked selection of love interests perfect for the customer. Online dating offered everyone in the world the freedom and flexibility to date whoever they wanted, whenever they wanted, so it is not surprising dating services moved to mobiles. 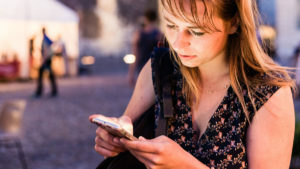 Mobile dating began to take shape in 2003 when ProxiDating used Bluetooth to match dates, however, it wasn’t until the iPhone arrived in 2007 that mobile dating took off. By 2010 mobile dating was becoming mainstream and in 2012 it had overtaken online dating, but why? A recent study conducted by PARSHIP, found that 7.8 million single Britons use some form of online dating to find romance. This is already a significant increase on the 5.4 million who used a mixture of offline and online services in 2005. It is believed this increase is caused by dating apps as it allows people to quickly match on the go. With 26 million matches made every day, dating apps have made it easier for singletons to meet someone new and put themselves out there. It has taken the pressure off approaching someone you like face to face and 85% of men say they have used a dating app. According to a survey, conducted by app developers Tappable, men are over five times more likely to download a dating app than women. Men are also more likely to spend money, as 35% of males prefer to pay for the premium version or make incremental in-app purchases, compared to just 20% of females. One male participant even confessed to having spent between £50-£100 on mobile dating apps. Apps, like Tinder and Bumble, have revolutionised dating and have given single men more confidence in approaching women. 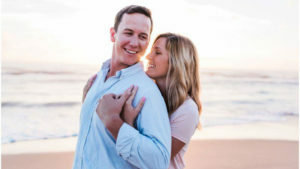 This is due to the process being a lot less nerve-racking and by the time you get to your first date, you should feel more confident around the person you are meeting. 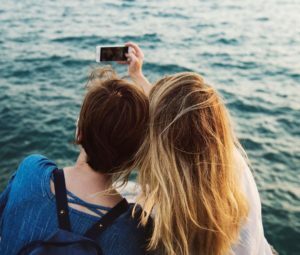 According to a survey by SimpleTexting, 15% of couples who’ve met on dating apps have been seeing each other for over a year and 13.6% are already engaged or married. It doesn’t look like that number is going down any time soon and apps look likely to be the future of dating. Over the years the way people have met has changed drastically, but the goal has remained the same. People are looking for someone to share their life with and dating apps have made this easier. 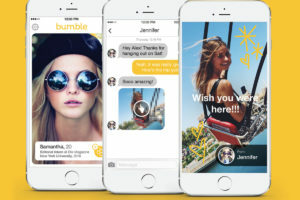 The positive response from couples across the country shows that this method works and the trend is likely to continue with more dating apps being introduced every day. Have your say and let us know what you think of dating apps. What ones have you used and did they work? We want to hear from you!